Lesley Watts has been appointed Chief Executive of Chelsea and Westminster Hospital NHS Foundation Trust. She will begin at the Trust on 14 September 2015. 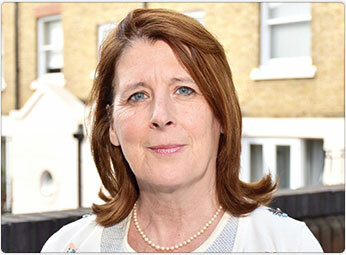 A nurse and midwife by training, Lesley has executive managerial experience at the highest level, having been a Chair of an NHS Trust, a Foundation Trust Governor and Director of Nursing and Operations at a major hospital. She is currently Accountable Officer (Chief Executive) for East & North Hertfordshire Clinical Commissioning Group, which has been nominated for Health Education England Governing Body of the Year and nationally recognised for its patient participation and engagement work. Chairman Sir Thomas Hughes-Hallett said: “I am delighted that Lesley will be joining our team. Her leadership and obvious energy, empathy and enthusiasm will help us to continue to build an organisation with local, regional and world-class ambition. Lesley will become Chief Executive of an enlarged organisation created in the event of the Trust coming together with West Middlesex University Hospital, which is proposed to come into being on 1 September 2015.